Los Angeles Laker Isaiah Thomas shoots hoops with Kate Mueller. 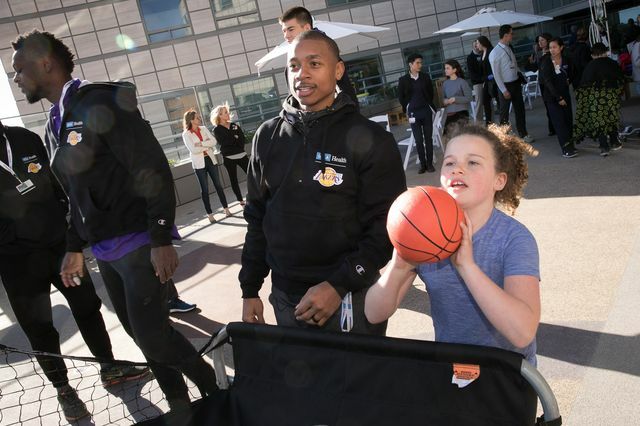 No one expects to have fun in the hospital, especially kids, but “fun” is exactly what some patients at UCLA Mattel Children’s Hospital experienced recently during a visit by the Los Angeles Lakers. Players and coaches shot hoops, played games and worked on arts and crafts projects with patients, then followed that up with get-to-know-you visits with the children, family members and hospital staff. “We had the privilege of visiting with the children, getting to know them and brightening their day,” said Lakers head coach Luke Walton. 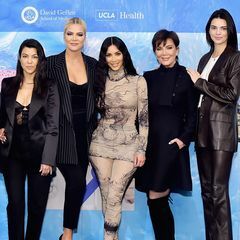 “We are fortunate to have a partnership with UCLA Health that allows opportunities like this to happen and look forward to going back and visiting again soon." 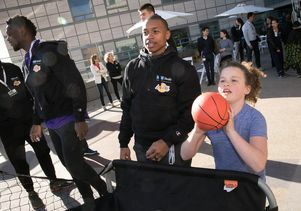 UCLA Health and the Lakers share a commitment to building a healthier and more engaged community, celebrating sports and competition and providing the support needed for an active lifestyle. UCLA Health also serves as the exclusive in-game health provider for the Lakers and holds the naming rights for the team’s training facility and offices in El Segundo, which opened in 2017. The visit to UCLA Mattel Children’s Hospital highlighted the many positives of the relationship between the Lakers and UCLA Health. 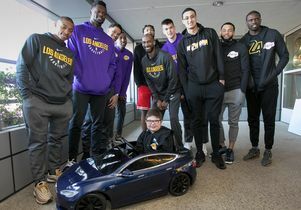 Evan Beier, a patient at UCLA Mattel Children’s Hospital, hangs out with members of the Los Angeles Lakers. Boy with the Laker Girls Kyra, left, and Roxy.